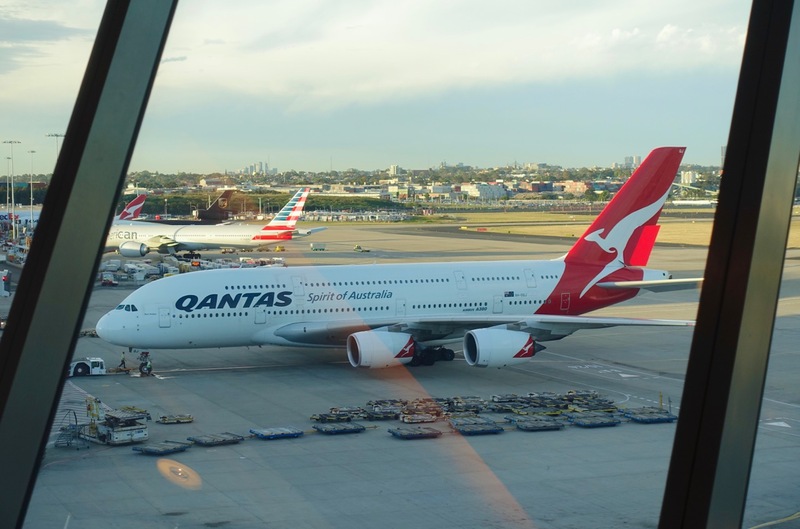 Keen to avoid paying thousands of dollars for international flights? 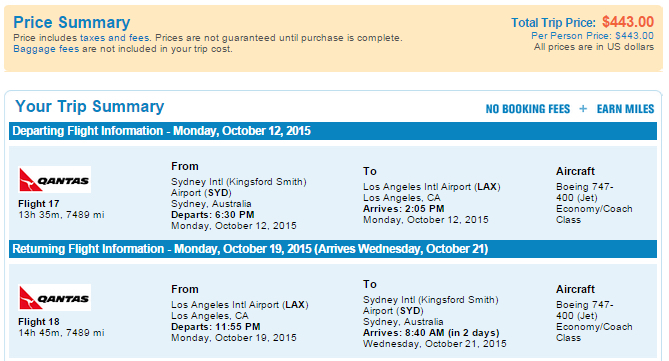 How do you go about finding cheap flights like $600 return from Sydney to Los Angeles? This guide, from Dollar Flight Club’s Jesse Neugarten, gets stuck into 5 ways they find cheap flights, deals and mistake fares. This guest post from Jesse at Dollar Flight Club outlines a few ways to get started doing deeper research to find flight deals that work for you. Point Hacks hasn’t extensively road tested their service, but some readers could find it useful. Over the years, I’ve accrued hundreds of thousands of frequent flyer points and travelled all over the world. And you can as well. Searching and finding cheap flights can take countless hours of your time. Your time is valuable, so don’t hesitate to use deal searching services, such as mine that do all the work for you. 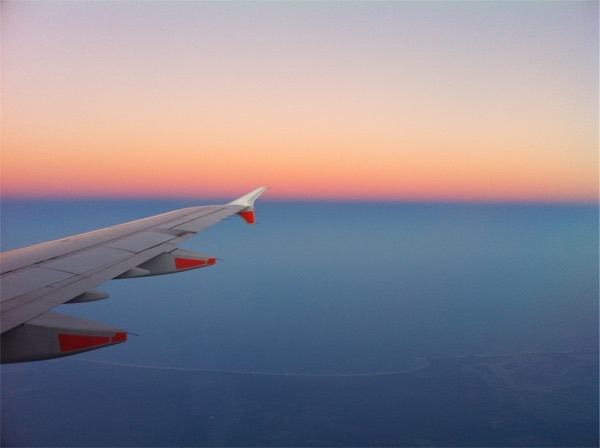 Follow these 5 tips to find the absolute cheapest flights so you can explore the globe. We recommend visiting at least 3 websites when you’re looking to find the absolute cheapest flight. These are our favorites and bring back the cheapest fares most of the time. They also allow you to put into play the tips listed below. Try to go through these sites in numerical order. Always start with Google Flights. It’s the best search engine in the business for a few reasons. Mainly, it allows you to nicely browse the calendar view. Pull up their handy calendar tool to find the best travel dates for your route, by locating the dates with the lowest fares. Make sure you browse the calendar view up to 9 months ahead so you know the cheapest time frame to travel and then narrow down on the dates you want. Keep a tab on the price you found. Head over to Momondo, re-enter your itinerary that you found in Google Flights and hit search. You can also double check them on Priceline to confirm you have the cheapest deal. Momondo almost always brings back the absolute cheapest fares, even cheaper than in Google Flights 95% of the time. Lastly, head to Skiplagged and enter in those dates to be sure you have the absolute cheapest fare. Once you’ve gone through these steps and you’ve found a fare within the price ranges we outlined above, go ahead and book! Skiplagged is so good they actually got sued by United Airlines a few years ago for saving people too much money on airfare by finding a loophole in the booking system. However, they won the lawsuit and are up and running. Simple Human Error: It very well may be that a $1308 return flight from Boston to Cape Town was actually priced at $130 return. 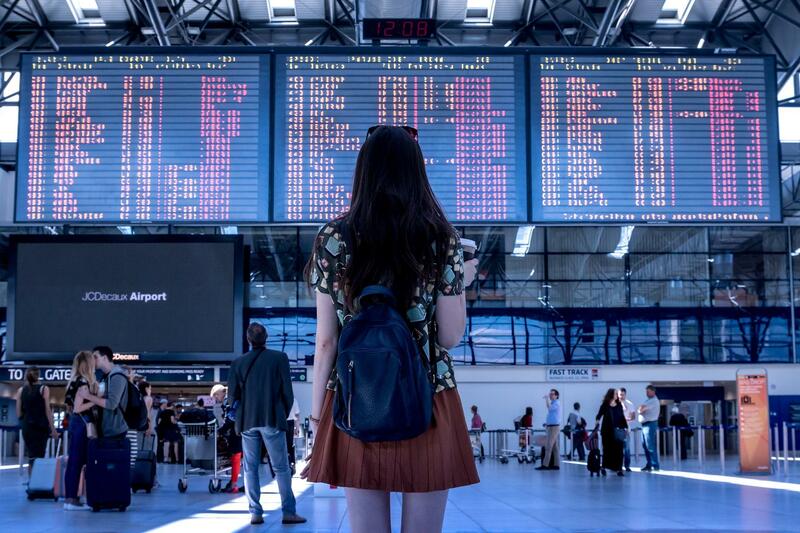 Someone omitted or added a number in error when entering a flight price, which can result in a significantly reduced ticket until the error is found by the airlines and corrected. OTA Glitches/ Omitting Fuel Surcharges & Fees: Online Travel Agencies (OTA) are often behind these mistake fares. Missing fuel surcharges are often why we see prices so reduced. Fuel surcharges are what stop you from booking 100% free tickets using miles (as you still pay these additional fees). Every now and then though, these charges may be dropped by mistake. Fuel surcharges can make up hundreds of dollars on some airlines. Currency Conversion Errors: When moving from currency to currency, things can get tricky when you’re working with such complex systems. For example. 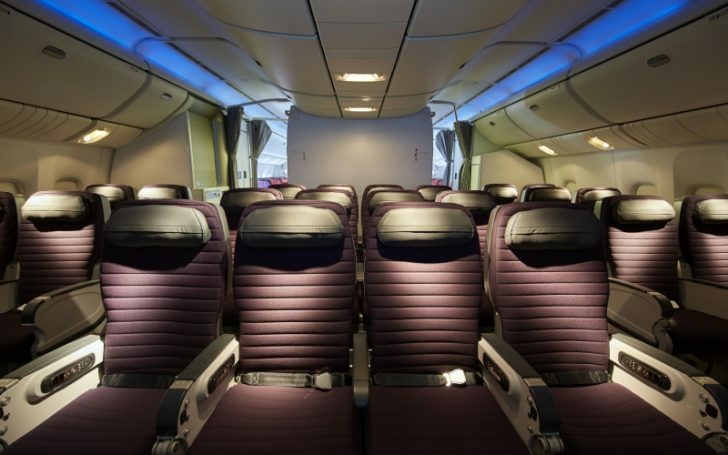 a $4,000 United Airlines first class ticket was available for as low as $51 in April, 2015 for various transatlantic flights originating in the United Kingdom and the United States. This specific mistake fare occured due to a miscalculation between the Danish Kroner and British Pound. These are tough to find on your own unless you’re endlessly scouring the web and only pop up once in awhile. You can always use services like Dollar Flight Club who has a team of flight searchers scouring there web to find these crazy mistake fares. Check out ALL airports close to where you live, as well as to your destination if you want to end up finding the cheapest flight. Remember, budget airlines in Europe and Asia like Ryanair or Air Asia are extremely cheap. You can fly roundtrip from most cities for less than A$100 return within those regions. That being said, if you’re looking to get to Sydney from London for example, but the fare is $1,500 return (way above our good deal range of $700-$1000 return), check to see what the price is from Sydney to Brussels or Paris. That fare might be $500 less and then you can add on a cheap roundtrip flight from Brussels or Paris to London on budget airlines like Ryanair for $60. If you do that, you’ve easily saved hundreds on the trip already. The easiest way to find a great deal is to be quite flexible with your travel dates. In addition, booking last minute almost always never works out. In our opinion, never wait until the last minute unless you have to. When you see a great fare 2-3 months in advance for domestic flights and 3-8 months in advance for international flights you should book them. Overall, Friday and Sunday are usually the most expensive days. Tuesday, Wednesday, and Saturday are the absolute cheapest days to travel. Before you get into booking, it’s imperative you know what a good deal actually looks like so when you see a cheap fare you know to book it before it’s gone. If you end up finding cheap flights in these ranges, you should book fast. Have VPN access? Try to use your VPN to access the flight comparison sites and set your location to a poorer country with a different currency (not USD, GBP, AUD, etc.) as the flight tickets may be lower that way. Try clear cookies after each search or search in “incognito mode” which may bring back a slightly cheaper ticket. Get the most out of your points. It’s always smart to understand airline partners and class upgrade opportunities that offer the most value. Check in on deal message boards like Secret Flying who often post deals they hear about. Finding cheap flights is more of an art than science in some cases. Travel doesn’t have to be expensive if you know how and where to look. In general, you’ll find the best flight deals if you’re able to be flexible on both dates and departure airports. If you can, make sure to book at least 3 months in advance, as last minute booking almost never works out and you’ll end up paying more. Last but not least, signing up for the right frequent flyer program and choosing a good rewards credit card is important as you start to earn points. Don’t have time to do all of this flight searching? Feel free to join the club. What are the cheapest fares you’ve seen leaving Australia? Share in the comments, as we’d love to hear! $953 adult, $712 child, BNE > Syd > Dfw (week break) DFW > LGA, JFK > LAX > BNE september school holidays, booked through QF website! had to be those specific airports to get that pricing. Winning due to school holidays never being on sale! was only on last day of the Qantas sale Brisbane came down to same price of syd with above routing. also used multi city option to get this pricing on qf website. could of gone through another travel provider but given plat status and being a direct booking if something goes wrong QF are normally happy to oblige either change of dates or cities in all our dealings with them so far plus overnight accommodations being provided several times if connectors cannot be made due to their delay. Other websites were only about $100 cheaper overall from the $3330 paid. You absolutely should not be using phrases like “mistake fares”. You really need to read up on US DOT decisions regarding these types of alleged fares, in particular this one: https://www.transportation.gov/sites/dot.gov/files/docs/eo_2015-11-3.pdf. You aren’t doing anyone any favours.